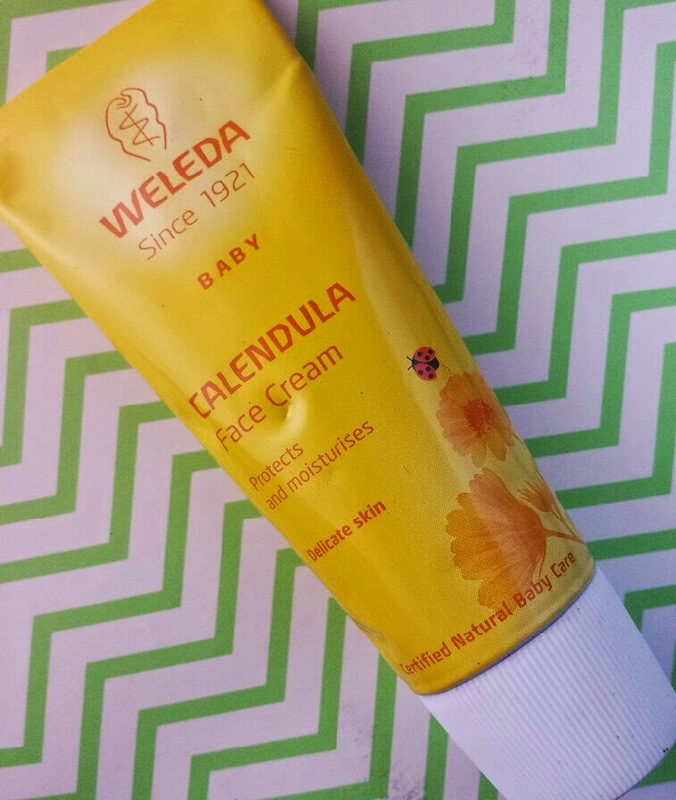 Weleda’s Baby Calendula Face Cream is a mild and gentle moisturiser that is packed full of beneficial ingredients that are suitable for even the most sensitive of skin. It was made in conjunction with midwives and is 100% natural and 96% organic, free of synthetic fragrances, preservatives and colourants as well as being free of raw materials derived from mineral oils. The cream contains organic calendula extract, organic almond oil and lanolin to soothe and protect the skin. It also helps to keep the skin feeling velvety soft and helps to prevent it from becoming dried out. It’s also suitable for adults with sensitive skin. The cream comes packaged in a bright yellow, aluminium tube with a white, screw cap lid. Due to the tube being made of aluminium, it feels bit more like a toothpaste tube than a regular moisturiser. It holds 50ml of product. The moisturiser itself is white and thick and it has a lovely fresh and natural smell to it. To use, you need to squeeze a small amount onto your fingers and apply gently to your baby’s face. A little goes a long way, especially when it is being used on a tiny face! I find the best time to use it is straight after a bath, during drying off time. It’s far easier that way as it then all fits within a routine of drying and moisturising. Since we have been using this cream on our little man, his face has been less prone to those common skin issues that babies/toddlers can get, including dribble rash during teething periods and dry patches on colder days. It states on the website that it is fast absorbing, which I find that it is, but it can leave a greasy feeling on the face for a short while after use. It’s not particularly annoying for anybody, but it is worth keeping in mind incase you decide to feed your little one straight after application (crumbs, that’s all I’m saying). When I first began using this on my son’s face, he was a little confused and he didn’t really like it. However, after continuous daily use he soon became used to this new part of his routine. Now he likes to rub it into his face himself! I’ve been really thrilled with the results of it. His main skin problem is his eczema, which can occasionally cause dry patches on his face. There have been no dry patches during the use of this cream at all. Instead, his face has been left feeling super soft and smooth with no problems. Just like with the Emu Oil Well Baby Wash & Baby Body Lotion, natural skincare has helped immensely with his dry skin. Other, non-natural products have irritated his skin (sometimes extremely) in the past, but the switch to natural has prevented any skin issues from occurring. I definitely recommend that you take a look at this cream if you have a young baby, toddler or child. The tube lasts such a long time as you barely need any to cover the entire face, so the value for money is also beyond excellent. 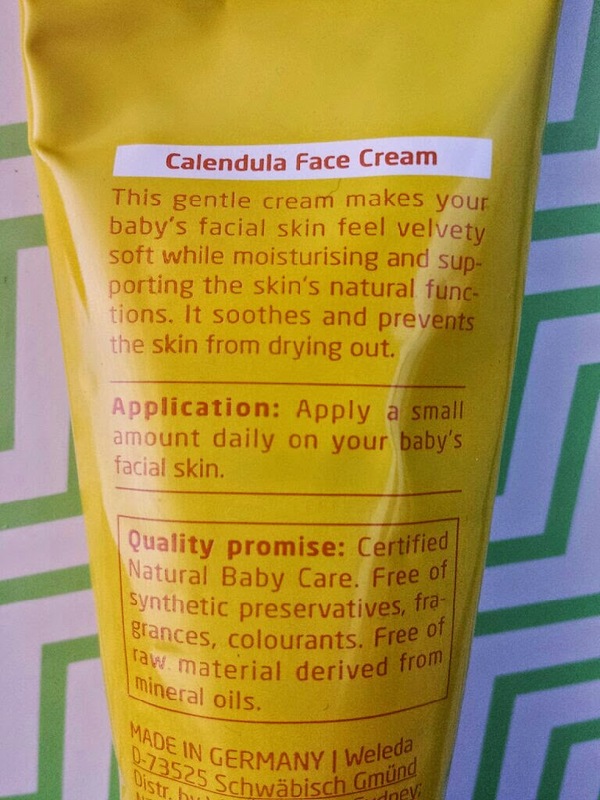 If you are interested in buying the Weleda Baby Calendula Face Cream, you can buy a 50ml tube for £7.95 from Boots, Birchbox, Feel Unique or Look Fantastic. 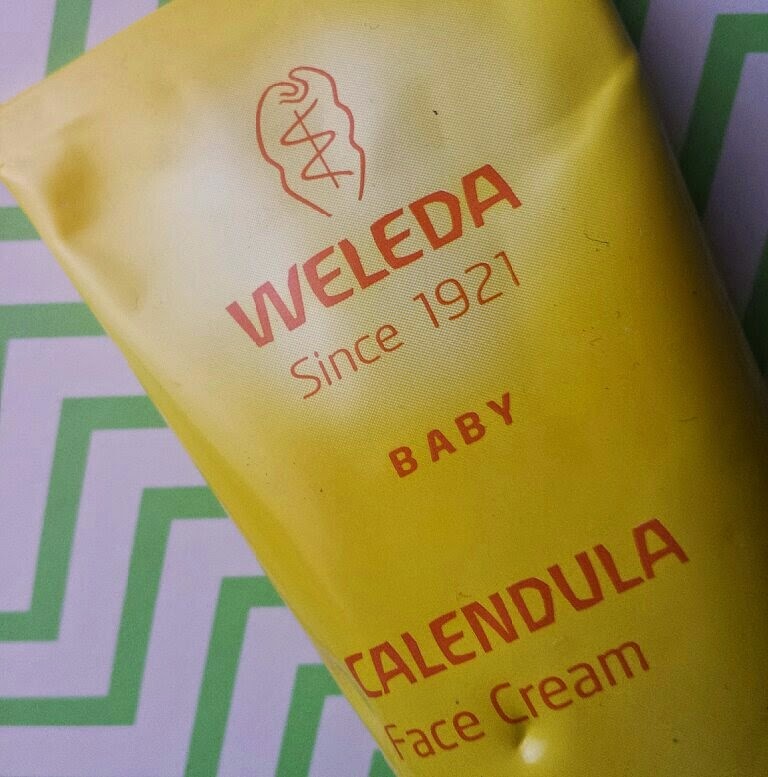 Have you tried out any of the Weleda Baby skincare range? What are your thoughts on natural skincare for children compared to non-natural?